As a car owner, an important thing that will always be on your mind is how to use the air conditioning system of your vehicle more effectively. An AC system that functions more efficiently will use less fuel and thereby help you save money. In addition, the interiors of the car will also be cooled quickly and in a more suitable way when the air conditioning is operating optimally. 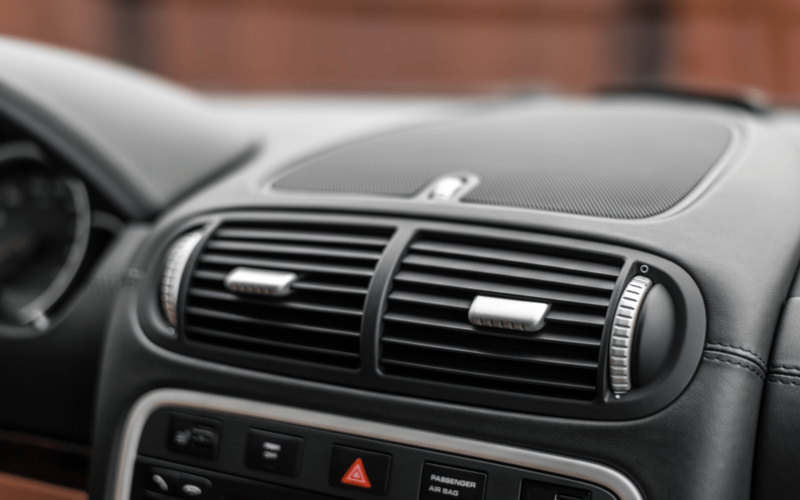 Below, we list out a few tips that can help you get the best result from your car’s air conditioner. Sun visors are thin strips that you can fit atop your vehicle’s windows, similar to the awnings seen on certain home windows. Once you fit the sun visors, you can open your windows about a few centimeters every time you park your vehicle for a long period. Doing so will ensure that the interiors of the car do not become too hot. Without this, the inside air would become extremely warm, forcing the AC to operate with too much stress when it is turned on. However, with the sun visor, you can let the air inside the vehicle circulate to the outside. As such, when you switch the AC on once you come back, it only needs to operate normally. When you don’t clean the interiors of your car for too long, it will end up being covered in thin layers of dust and dirt. And when you operate the AC under such conditions, the air won’t be cooled properly. You will also not feel too comfortable as the dirt can circulate inside the vehicle causing inconveniences. So, ensure that you regularly clean the interiors of your car. This will allow the air to cool properly. It is highly recommended that you install window shades in your car. This will allow you to block out the sunlight from entering the vehicle, thereby ensuring that the interior temperature remains cool and that the AC need not overwork itself. However, just covering the side windows alone is not enough since the windscreen can also let in sunlight. So you should also install the window shade on the windscreen. And when you park the vehicle, just remember to cover the windscreen with the shade completely. Doing so will make sure that no heat enters through the windscreen. When you keep the car out in the open for long, it is inevitable that the air inside it will get hot. And if you are not using any sun visors, then this tips is for you. Many people tend to just turn on their air conditioner right after they enter the vehicle. This is not the ideal way to cool the interiors in such conditions. When you switch on the AC immediately after getting into the car, the air conditioner will have to work extra hard to cool down the incredibly hot air. A better way to deal with the issue is to first open all the four windows when you return to the vehicle. This will push out all the inside air to the outside. When you feel like the hot air has been vented, push up the windows and then switch on the AC. This way, the air conditioner will be able to cool the interiors quickly and without much pressure. All vehicles will be assigned with a maintenance schedule which will state when the car has to be checked by professionals. Ensure that you stick to the schedule and get the vehicle checked at regular intervals. Having the AC system check by experts will guarantee that it does not develop any serious issues in the future and will run optimally. And in case the air conditioning does develop any problems, take it to the nearest car servicing center immediately. Just make sure you understand your options when considering auto AC repair and choose a good car mechanic. It is recommended that you run your AC at its coldest level for at least 10 minutes every week. Doing so will help keep the compressor functioning at its best while also ensuring that the gas pressure remains at its ideal levels. Make sure that the fan is also set to its highest speed. And in case your vehicle’s AC unit has a defrost setting, you should also run it for 10 minutes every week. This will remove all the moisture inside the car and avoid any mildew formation. Do these two things every week, and you will see that your air conditioner is cooling the vehicle much better. Plus, any unpleasant odor inside the car will also have been reduced. The effectiveness of the AC system inside the car can also be affected by the heat leaking from the heater hoses. So, find out the heater hose connections of the car and just remove all of them. You can then cap those heater ports with rubber caps. Check those ports every five or six months and replace the caps if you see any cracks or swelling. With the heater hoses out of the way, the engine will have a better airflow and less heat will leech into the interiors of the vehicle. As a result, the temperature inside the car will be colder. Remember to consult a professional car service expert before you do this. Finally, remember to check the refrigerant level of your vehicle on a regular basis. Low coolant levels will inevitably lead to improper and inefficient cooling. In fact, if the coolant level gets too low, you may even have to make expensive adjustments through a car mechanic. And if you see that the coolant is decreasing rather rapidly, it may be indicative of a leak that needs to be fixed immediately. Constantly checking the coolant levels will ensure that you keep the AC running perfectly while also avoiding leaks that damage the environment.